WERE YOU WATCHING Crufts this weekend? Hundreds of dog owners gathered in Birmingham to show off their prized pet pooches and battle for the coveted Crufts rosettes. As perfectly-coiffed as Knopa is, there were many other dogs at the competition serving excellent hair. And they might make you want to book a hair appointment very soon. Just saying. Email “10 dogs with better hair than you at Crufts”. 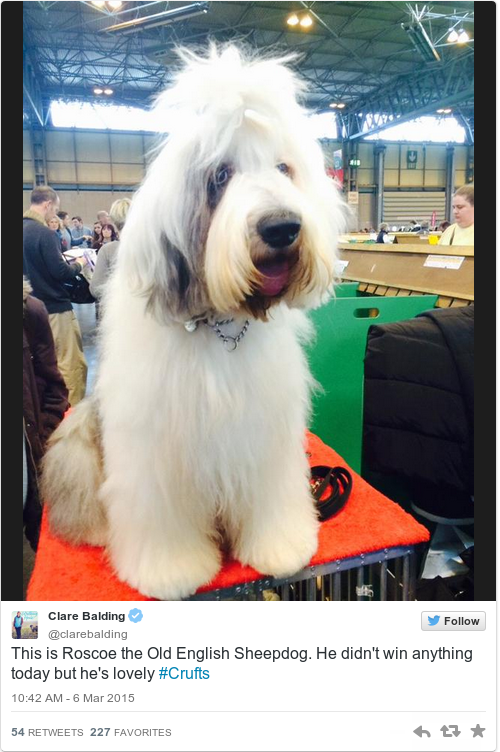 Feedback on “10 dogs with better hair than you at Crufts”.